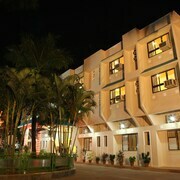 Situated in Murud, this spa resort is in the same area as Kashid Beach. Regional attractions also include Alibag Beach and Alibag Fort. 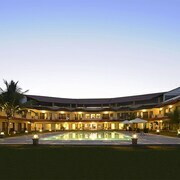 Situated in Alibaug, this hotel is within 9 miles (15 km) of Alibag Beach, Alibag Fort and Versoli Beach. Kihim Beach is 11.2 mi (18.1 km) away. 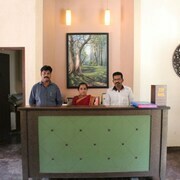 Situated in Alibaug, this hotel is within 12 miles (20 km) of Alibag Beach, Kashid Beach and Alibag Fort. 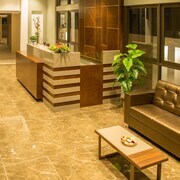 Versoli Beach is 10.7 mi (17.3 km) away. Good Location & Property but very poorly maintained. Rude & noncooperative staff. Food is ok but restaurant is unclean. 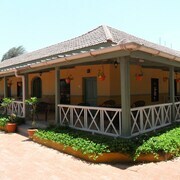 Visitors to Murud are sure to enjoy the restaurants. Tourists can also enjoy the city's beaches and entertainment choices. 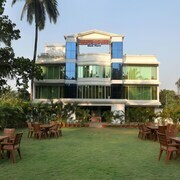 In Murud, there are 3 hotels and other accommodation options to choose from.